Unexpected match-ups at #XPNFest aren’t exactly uncommon — it’s kind of what we do, bringing together artists and sounds and styles that might not normally be paired together and getting fans of one to consider the other. Mass horizon expansion, if you will. Last night’s headlining show at BB&T Pavilion was admittedly a puzzler, a little-bit-of-everything mix of The Suffers‘ soul, Chicano Batman‘s psychedelic Latin rock, and a dual headlining set from Austin’s Spoon and Philly’s Amos Lee. The two at the end in particular were a peculiar pair, the former occupying the gritty fringes of aggressive indie rock and the latter a singer-songwriter who takes the stage on stately theaters across the country and around the world. But they showed that they had more in common than meets the eye — or ear, rather. In a word: groove. Year-End Mania is the Key’s annual survey of the things below the surface that made 2016 incredible. 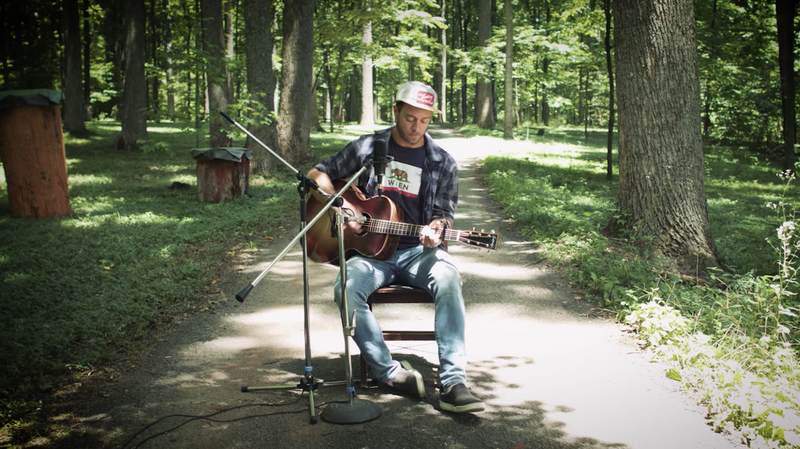 Today, we bring you Amos Lee’s rundown of songs he played over and over on Spotify. With this year’s release of Spirit, local favorite Amos Lee grew into his soulful side. Songs like “Running Out of Time” featured gospel-style chorus singers, while “Vaporize” steamed with R&B beats (you can read a track-by-track, first impression review of the record here). We got some insight into the making of Spirit with his World Cafe session in September, but now Lee is pulling the curtain back even further on the album’s inspiration by sharing a playlist of his most-played songs on Spotify this year. This past May, legendary singer-songwriter and guitarist Bonnie Raitt appeared at WXPN’s Non-Commvention. Performing material from her recent album, Dig In Deep, Raitt also performed a few classics from her back catalogue.